Whether you’re new to skiing or have been many times, it never hurts to refresh your knowledge before you go. 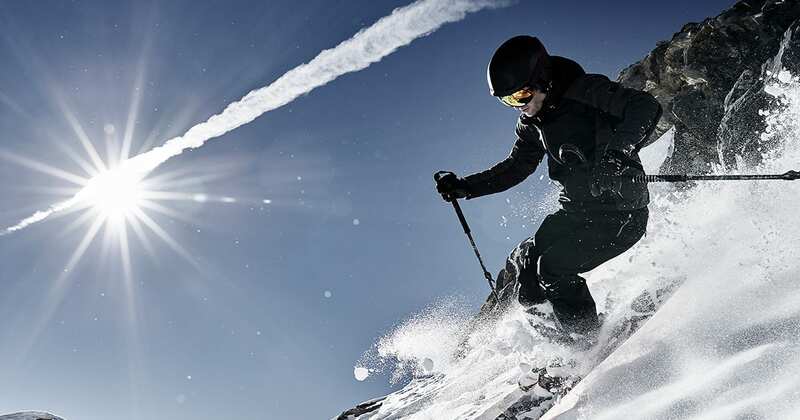 The Ski Centre in Sandyford given us their top tips to keep you on the slopes for longer and help you enjoy your winter adventure that little bit more! It helps to have a fair level of fitness before you go on a ski holiday. You’ll definitely have more fun if your muscles are comfortable and you don’t have to leave the slopes early to have a rest. Lunges and squats are great for building up your leg muscles, as are cycling and hill walking. A less obvious strength is that you will need stable core muscles: yoga, Pilates, dancing, martial arts, or anything that involves balance and maneuverability, will be of benefit. It doesn’t matter how fit you are, though; to protect your muscles you need to stretch them. A 5-10 minute warm up before skiing and 15-20 minutes afterwards – focusing on your legs, hips and back – will do you good. Plenty of hotels in ski resorts have spas: use them! There’s nothing like a hot jacuzzi at the end of a long day on the slopes. You should definitely get lessons on the snow, but also before you go away. Three lessons is the minimum you should be doing, but if you can do more that will be even better. The better your technique and skill level, the more fun you’re going to have. You definitely don’t want to have spent a lot of money on an expensive holiday just to spend the entire time on the beginner slopes! If you already know how to turn and slow down before you get out on the slopes, you might find yourself graduating into an intermediate course in the first day or two! And, of course, nothing builds up your ski muscles like skiing itself! Invest in some proper ski clothing. It doesn’t need to be super expensive, but it does need to be specially designed for snow. You’ll want sports-specific base layers made of a fabric that wicks sweat away; never cotton. Depending on the season, you might not need base leggings – just a top. Definitely invest in some proper ski or snowboarding socks (no, regular socks will not do and you will be doing yourself a huge favour by spending a few extra euros on good socks, instead of tube socks which can bunch and chafe your legs). The staff in our shop will be able to advise you on all your gear. You absolutely need to bring high factor sunscreen: 30+, at least. The sun reflects the snow, so you get double exposure. And, because it’s reflecting upwards, make sure you put the sunscreen on the bottom of your nose and under your chin too – absolutely nobody enjoys sunburnt nostrils. You’ll need a good lip balm with SPF in it too. Top tip: put your sunscreen in a separate sealable plastic bag in your backpack. We’ve heard stories about slipping on the slopes, landing on backpacks, and the sunscreen exploding and destroying everything inside! Wear a helmet – just do it. It doesn’t matter how slowly and carefully that you ski, accidents can always happen and can be caused by someone else. No bobble hat is cute enough to justify a concussion. In all honesty, most people these days do wear helmets – you’ll stand out more if you don’t wear one, and it won’t be for the right reasons. Bring a backpack up the mountain for your snacks and layers! You can stock it with things like trail mix, fruit (satsumas are great) and a large bottle of water. You can store your layers in here as the day gets warmer, and your shades and hat to pull out for lunchtime can be kept here too. A pack of electrolytes is a great idea to have on hand, especially if you don’t want to be chugging a lot of water all day. A sachet of Dioralyte, or similar, in your water at lunchtime can really help maintain proper hydration. Great Outdoors has partnered with the Ski Centre for an exclusive discounted off peak lesson for €20 (worth €49) valid with any transaction! T&Cs apply, visit www.skicentre.ie/great-outdoors for more details.